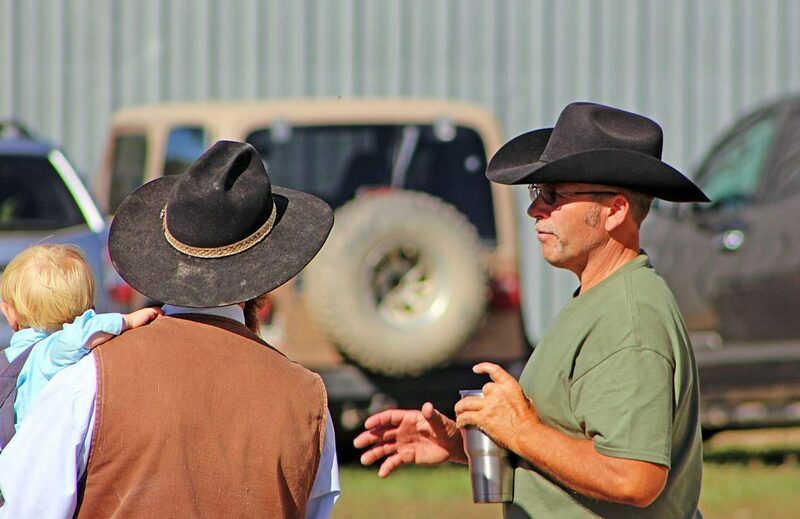 Steve Munz made the trip from Oxford, FL to get his hands on the FQHR genetics, several times. Don Cool of Gillette, Wyo., is a long-time, repeat customer showed his support by purchasing several horses right out of the FQHR program. John Zehr of Auburn, Indiana, didnât waste his trip. He's taking home several nice horses. $11,000 was the final bid for Lot 56, Comanche by Rodes Hart of Nashville, Tennessee. This bay roan gelding was consigned by Dean Yoder and is sired by ID Watch Two Eye with a McSilver dam going back to Mckeag the legacy stallion of Froelichs. He is a 2010 model that was as broke as the day is long. 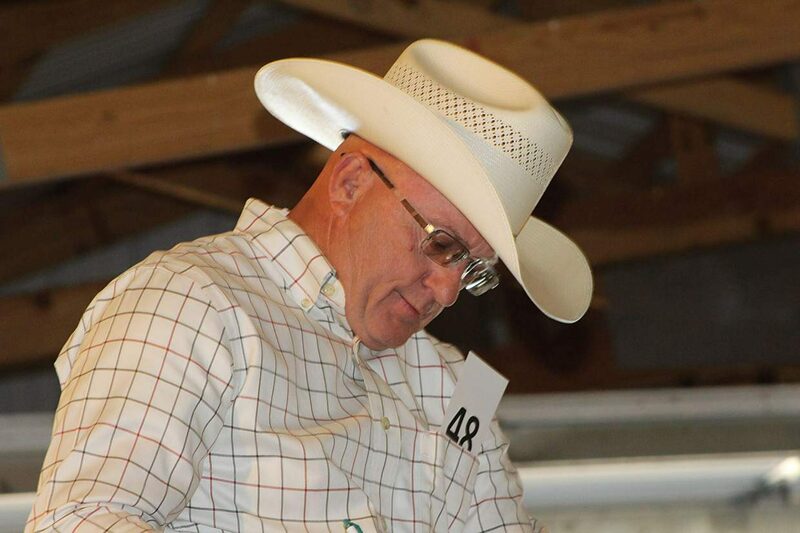 Lot 55 was a 2012 broke gelding consigned by Marlin Yoder that sold for $8,250 to Steve Munz of Oxford, Florida. This bay roan was sired by FQHR McLovin with FQHR Gracie on the dam side going back again to the legacy Mckeag line. This horse had seen and done it all and had the same docile disposition whether rode daily or annually. $7,000 was the cost of Lot 57, Bonnie, again brought by Dean Yoder and purchased by Jon Zehr of Auburn, Indiana. This bay roan mare was a 2012 foal sired by FQHR McLovin and TT Miss Silverado on the bottom side. This mare could pack anything on her back from kids to a pistolero. 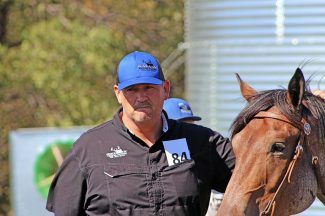 Lot 14 topped the weanling sale for $4,000 heading to Gillette, Wyoming, with long time buyer Don Cool. He is a grullo roan stud colt sired by Keotae and FQHR Emma. Definitely a "homerun" buy on this guy. This sale topper was the mare's first colt; great things are in store for this Goldun Poco Storm daughter. $3,700 was enough to earn the ownership of Lot 21 for Tim and Deb Brehm of Baldwin, North Dakota. This Denali Pine son is a blue roan out of Colonels Lenaleo on the bottom side, and he's got the ability to stamp an impressive image in any string. He foaled June 10, 2016! Lot 23 is a May 7, 2016 black stud colt also out of Denali Pine that caught some attention selling for $3,500 to Steve Munz. His dam, FQHR Little Gal, goes back to Special Express and Mckeag. Pedigrees like this sure pack the phenotype full of great traits; he was a fancy, fancy buy.